Forgiveness ~ one of the hardest things to do, Forgive Another! Your Wedding Day is meant to be one of your most memorable events, but sometimes the worry of all the preparations exhausts you! 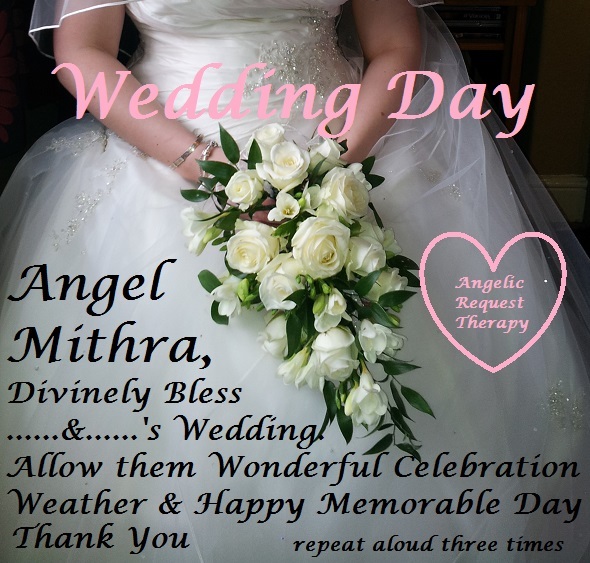 Ask the Angels for help with all aspects allowing you both to Celebrate a wonderful day. You can adjust the wording to suit your Wedding plans. Wishing all couples a glorious memorable loving day!! !